Owning a GTV Cup I have often been intrigued by the lack of knowledge and mysteries involving this limited edition car series. In the UK were there 150 cars built as originally stated or 155 and why that random figure? Why were the European Cup cars only manufactured in Silver and how many of them were made. And what was this racing series the cars commemorated and why the phrase, “a race series for Gentleman drivers”. As a member of AROC and AlfaOwner and now Squadra 916 there does seem to be a lot of information out in cyberspace. With this research I now believe I have a clearer picture although facts and mysteries remain. 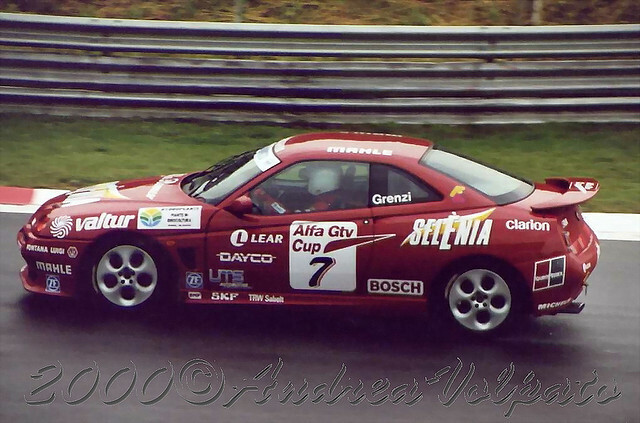 In 2001 through to 2002 Alfa decided to produce a special road going GTV to commemorate an Italian single car (GTV Cup) race series. In the U.K. a total allocation of 155 of these beautiful GTV Cup’s from this Limited Edition series were sold. 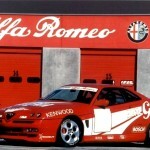 All of these cars were produced in Alfa Red with a unique Momo interior including a Serie Limitata plaque (in red text), a “Cup” kit featuring a wrap around body kit, classic teledial wheels in a unique titanium colour, side vents, rear spoiler and all with the glorious 3 Litre V6 24 valve Busso engine. Originally the series was thought to be only 150 in number and the press at the time stressed this figure but the number of cars produced was certainly 155. A fact I can attest to owning as I do number 153. 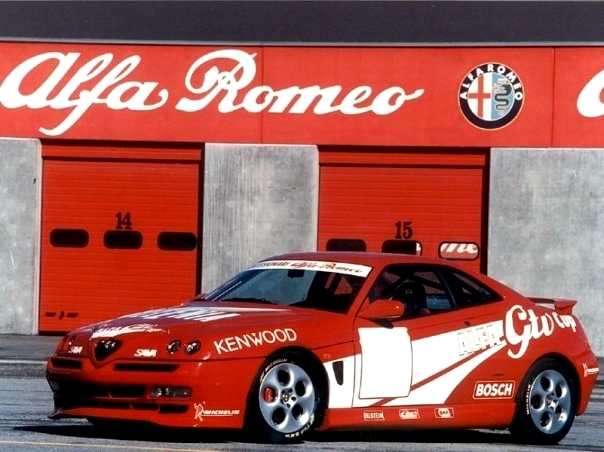 It seems that this number was not quite as abstract as perhaps it might first appear for it was Alfa’s tip of the hat to the Gabriele Tarquini driven 1994 British Touring Car Championship winning 155 series car. But what was this special single car series in Italy the cars celebrated? 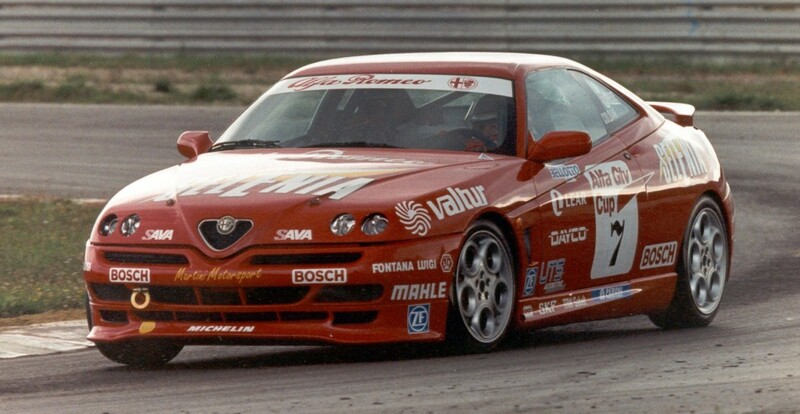 In fact the GTV cup series was not a championship as we might know it but rather a series of races for different people to have a go at driving a performance racing car around a variety of race circuits. In total 16 vehicles were prepared and made available by Fiat Auto Racing. Designed, in the marketing publicity, as a car series for motor enthusiasts and capable owners of sports cars (some might say gentleman drivers) it was a way to see how they would fare in a real competition on a true racetrack. The Italian Supertourism Championship was actually 10 single events run on a variety of tracks such as Verano de’ Melegari, Mugello and Monza with a total of 160 drivers taking part from all over Italy. Each race consisted of a different set of 16 drivers enjoying the thrill of true competition. After paying a reasonably nominal subscription fee for the C.S.A.I. 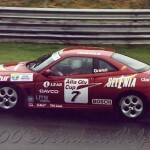 driving license the real cost for this raceday experience was approx £3500 in 1999 money. Michelin Slicks, lowered suspension, and the increased horsepower through chip adjustment it was a true racing machine. To many it may appear to be a rich man’s toy for the day but having a race prepared vehicle with tyres, dedicated mechanics and equipment provided in some ways it was a cheap entry into the always expensive world of serious motor sport. 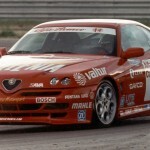 Whilst the U.K. had an allocation of road going Cup’s, Alfa offered the European mainland the GTV Cup too. On the outside visually they shared the Aero Cup kit, wheels and spoiler package but all were produced in LHD form and it was thought until recently only in Silver with the Twinspark engine and all with a unique numbered “black text” limited edition plaque. It now seems that whilst the total LHD cars produced for Europe was 264 (still trying to work out which Alfa model this was a tribute to!!) not all of these cars were in the Silver TS version. The European production run it appears had 25 Red V6 cars and Red TS that were additionally manufactured to the U.K. batch. Having created a number sequence of 1-155 (Red text Serie Limitata Plaque) for the UK market, the European cars were also crazily numbered from 1 in this case up to 264 but with a black text Serie Limitata Plaque. Typically Alfa confusing was their decision to not allocate all the LHD Red V6 cars in number sequence but instead put a plaque on them as and when they appeared. For the serious connoisseur the position of the plaque is another issue. You would think that the Alfa instruction to the Pinanfarina factory that produced all the Cups would be to put them on the same position. Instead they can be on the left or right side or even in the centre of the console seemingly randomly placed. One additional point of note is that the plaque is made from silver. If you look close on the top left hand corner you will see the small markings detailing both purity and the control assay. The owners of the GTV Cups range in Alfa ownership experience but also in their thoughts of looking after and maintaining their Cups. Do you leave it as it rolled out of the factory gate or do you customize it and for some, make it the car it should have been and for many deserves to be ? Another whole ownership avenue is the “Cup a Like” cars that have sprung up in a sort of homage to the Cup. Here owners take a suitable donor GTV car and add the various bodywork components (side skirts, front valance, side vents and rear spoilers etc) to make it look from the outside as a Cup. I would advise any would be prospective Cup owners reading this if you want to own one of these cars to always check it’s a true Cup with the limited edition plaque and the correct documentation. I would add that these Cup a Like’s are almost always red in colour just like the UK Cup series, so be careful although a Gold “Cup a like” does exist and for many it’s a beauty and by all accounts unique. That’s a mystery still to be solved! !